Its only November, but we can already feel Christmas around us. All the marketing efforts seem to do a good job, and I can hear many people around talking about buying Christmas presents and decorations. I'm not that well organised, but I know many of you surely is. I realized, that if I want to give you some baking ideas for festive season I should start now. No point to post a recipe on Christmas day, as many of you will have be done with baking by then (I think I did it last year!). 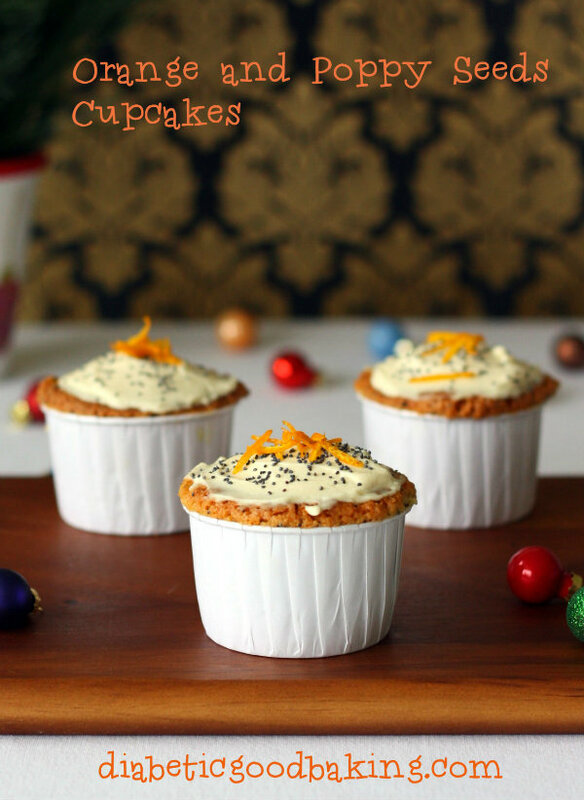 Lets start Christmas a bit earlier this time :) I have decided to open festive season with this lovely orange and poppy seeds cupcakes. Classic combination and rather typical flavours for Christmas. Baked with almonds, which guarantee moistness and characteristic for almonds sweetness. Diabetic friendly, but surely will be loved by everyone. 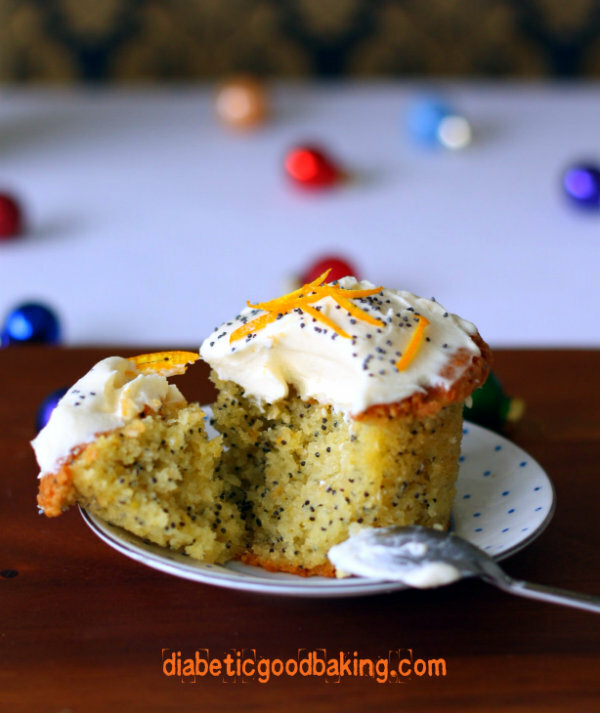 In medium bowl mix ground almond, poppy seeds and baking powder. In a large bowl, using electric mixer, beat eggs yolks with butter until yellow and fluffy. Add orange zest, orange juice, erythritol and mix all together well. Pour the batter into a cupcakes cases and bake for about 25 min. Check with a skewer if the cupcakes are baked (the skewer should come out clean). Let it cool down. Mix cream cheese with butter with erythritol. 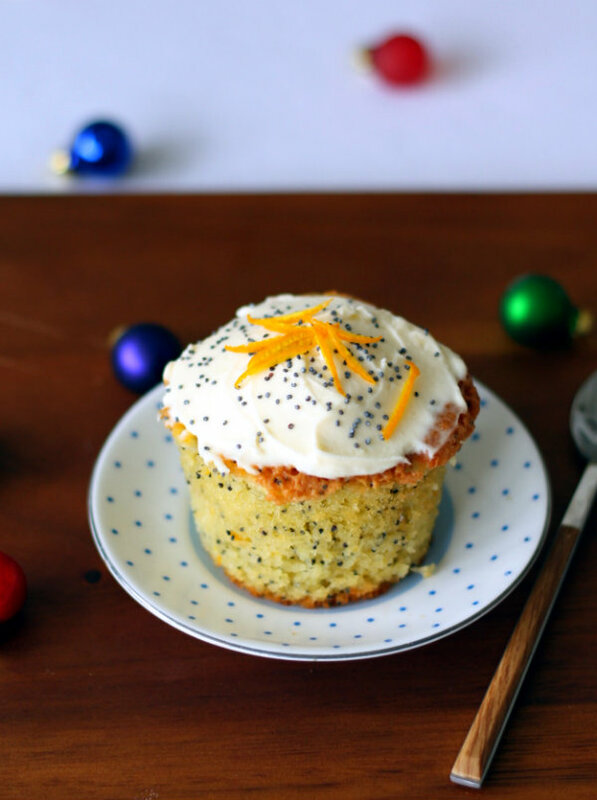 Decorate the cupcakes with frosting and sprinkle with poppy seeds and orange zest. Could you substitute Erythritol for Xylitol? If so how many grams should I add ? I know it will increase the carbs content in the cupcakes but I cant find the Erythritol anywhere in shops :( unless I add nothing? Would they still be tasty? They look so yummy! You can use Xylitol, maybe 200g. It will add around 50g carbs to your carb count.